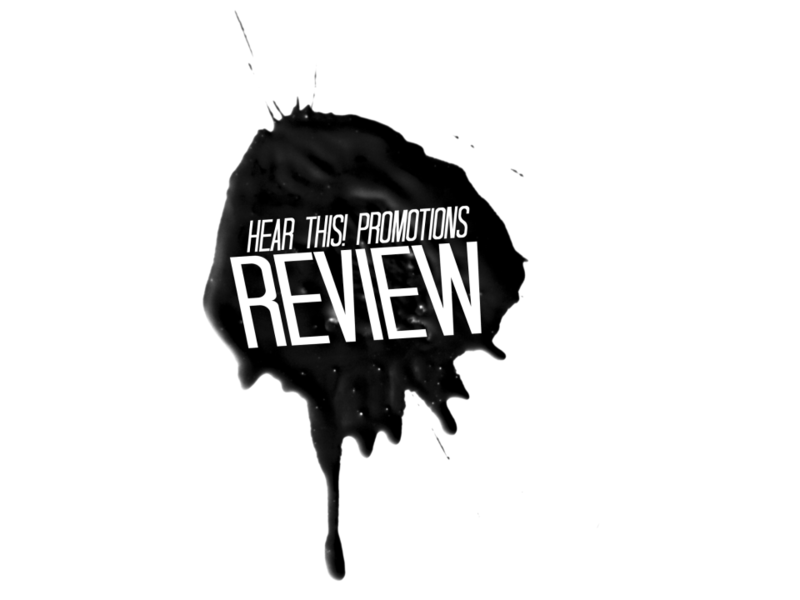 A professional review of your music that will be pinned to the top of our Facebook page for at least 12 hours, posted on our Twitter, and featured on the HTP website (Please have quality recordings and at least 3 songs for best results). A professional advertorial promoting your company or brand that will also be pinned to the top of our Facebook page for a minimum of 12 hours, mentioned on our Twitter, and posted on our website for 1 month. Additional month of ad time on Facebook page, Twitter, and website (if you have previously purchased an advertorial). 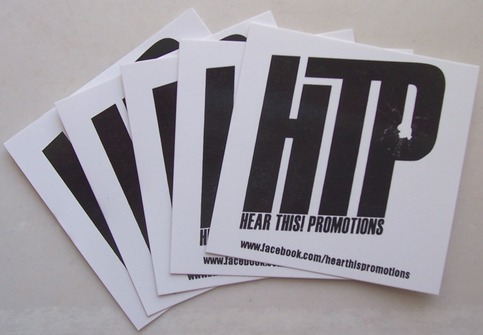 Your band or company logo, name, and info on the front, our ad on back. Black print only. 8th page cards (apprx. 8 fit to an 8X11 page) printed on card stock. Banner ad (apprx size 936X120) placed on one of these pages: links, about. For homepage placement please change quantity to two during checkout (making total $10.00) and type "homepage" in notes section or e-mail us. Includes 100 shared business cards FREE (US only)! 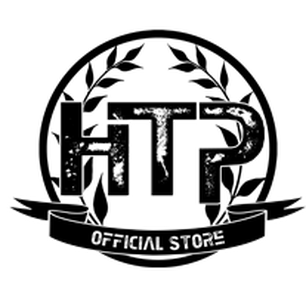 For homepage placement please change quantity to two during checkout (making total $50.00) and type "homepage" in notes section or e-mail us. Block ad (apprx size 250X250) Placed on one of these pages: Featured Bands & More, Reviews/Interviews. 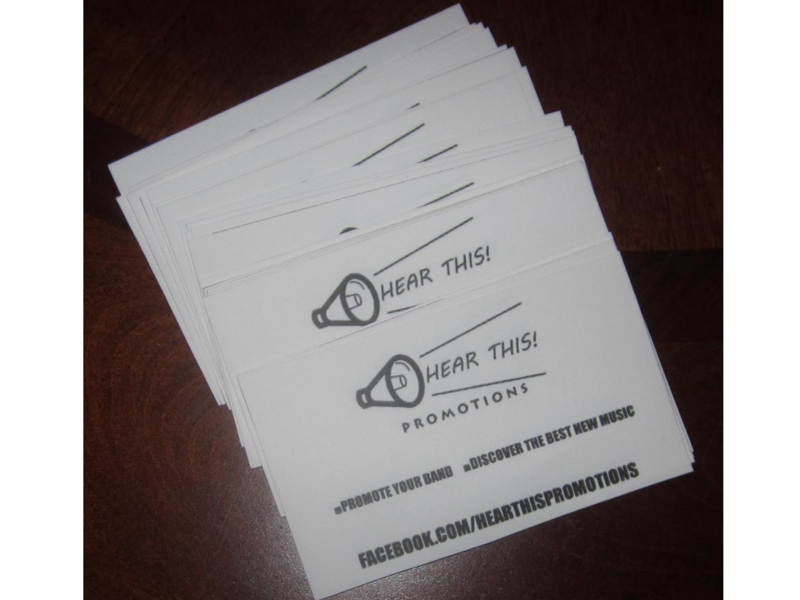 Includes 50 shared business cards FREE (US only)! Full setup of online presence including Facebook, Twitter, Youtube, Website, plus 1 hour of FREE tutoring which will include tips on how to maintain your network and promote your sites to maximize your online potential. Purchase of graphic work may be necessary (we can recommend designers if needed). Whether you have questions regarding social media sites, the internet, or even computers in general, our technical experts can teach you everything you need to know to be a success on the web! Hear This! 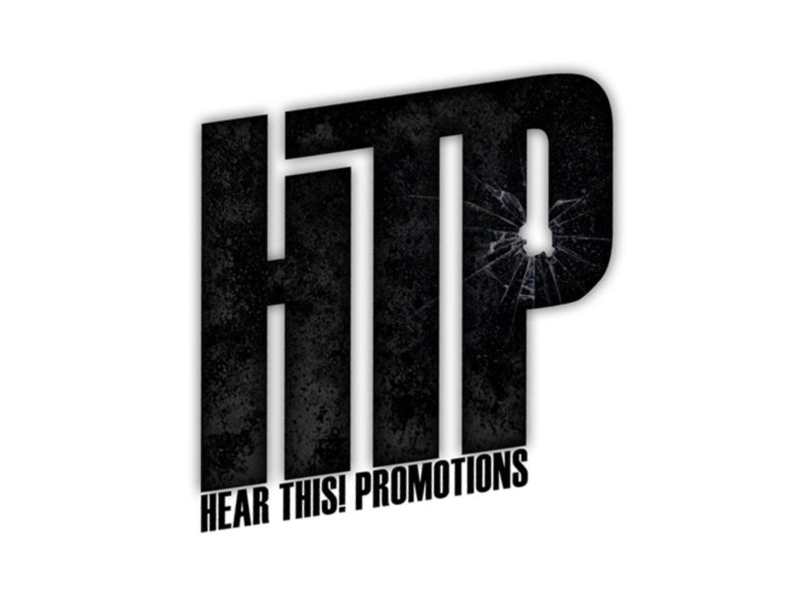 Promotions offers low end CD duplication services at the most affordable prices around! With our popular packages (see below) we make it convenient to get exactly what you need at the lowest cost possible. If you can't find what you're looking for, please, contact us and let our representatives assist you in creating a custom package! We're eager to help you get your music out to the world, so e-mail hearthispromotions@gmail.com and let's get your project started today! LIGHTENING FAST TURNAROUND! (We will ship your order within 48 hours of receipt of payment and all info necessary to complete project). 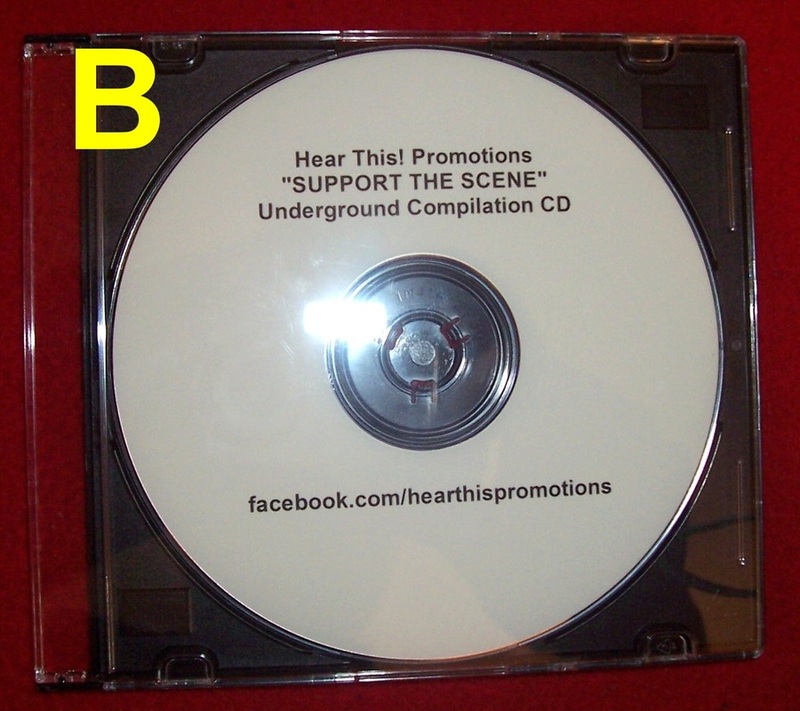 A. CD's, Duplicated, with Slim Jewel Cases, Printing on CD, and Inserts - $1/ea. B. CD's, Duplicated, with Slim Jewel Cases and Printing on CD - $0.85/ea. C. (Not Pictured) CD's, Duplicated, with Slim Jewel Cases - $0.75/ea. 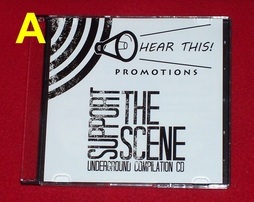 D. CD's, Duplicated, with White Paper Sleeves and Printing on CD - $0.50/ea. 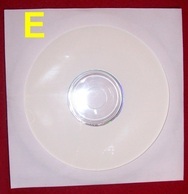 E. CD's, Duplicated, with White Paper Sleeves - $0.40/ea. *We do NOT print in color, (all printing is done in black). Mail, Parcel Select, and Priority Mail. You may also pick up your CD's at our location in Utica, Michigan free of charge.